Calcium, magnesium and iron are just some of the minerals found in hard water. These minerals can get lodged onto the sides of the toilet tank, becoming unsightly rust stains. While rust buildup inside the tank may not damage the toilet, it can turn the water in the bowl a dingy color and possibly stain the bowl. Remove the rust from inside the toilet tank to save you from ugly stains in the bowl. 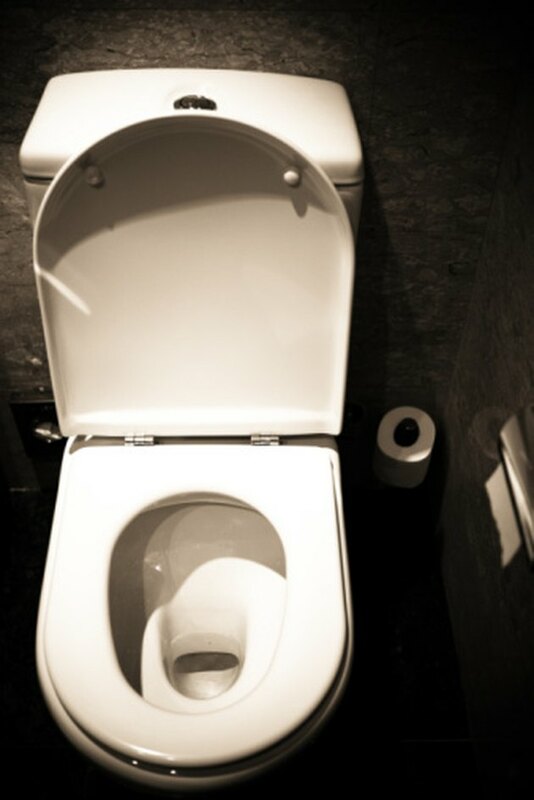 Keep the inside of your toilet bowl sparkling. 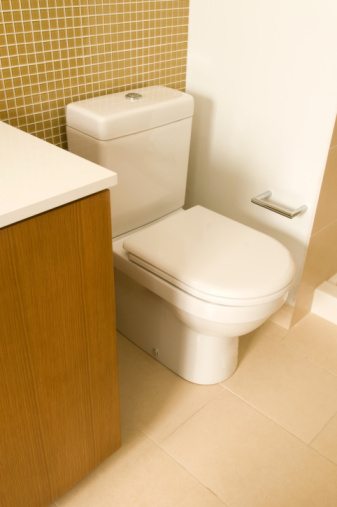 Locate the water supply valve beneath the toilet and turn it clockwise to shut off water to the toilet. Flush the toilet several times to drain the tank. Remove the toilet tank lid and set aside. Dip a sponge into naval jelly while wearing rubber gloves and eye protection. Spread the naval jelly over rust stains inside the toilet tank and let it sit for 15 minutes. Fill a bucket with water. Wait 15 minutes to pour the water into the toilet tank, then flush to rinse the naval jelly from the surface. Continue to fill the tank with water and flush to remove all the jelly. Scrub any remaining rust stains with a pumice stone. If pumice fails to remove the remaining stains, repeat the process of applying naval jelly. Replace the toilet tank lid and turn the water back on at the supply valve. Turn the water supply valve beneath the toilet clockwise to shut off the water supply. Flush the toilet to drain the tank. Remove the toilet tank lid and set aside. Spray citric acid onto the stains inside the tank. Scrub with a pumice stone or steel wool. Rinse the citric acid from the toilet tank by filling the tank with water and flushing. Mix baking soda and a small amount of water to create a paste. Spread the paste over the rust stain inside the toilet tank. Let the paste sit for 20 minutes. Clean the side of the tank with a soapy sponge or scrub the area with soap, water and steel wool. Rinse the inside of the tank with water and flush. What Causes a Toilet Tank to Crack?